SAP Cloud Platform Open Connectors simplifies and accelerates connectivity to third-party cloud applications. It provides robust, feature rich, prebuilt connectors to an extensible library of over 160 of the most popular third-party cloud applications and is available in SAP Cloud Platform trial for free tryout. In this blog, steps to enable SAP Cloud Platform Open Connectors for trial purposes has been captured. 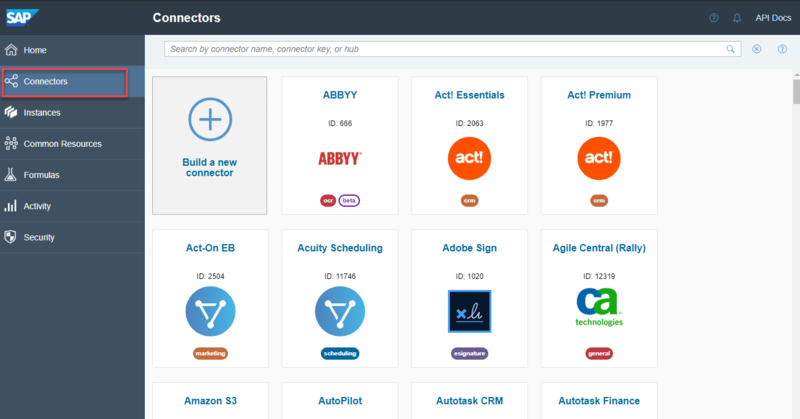 For the first release of SAP Cloud Platform Open Connectors, we are available in the Neo environment and therefore select Neo Trial. 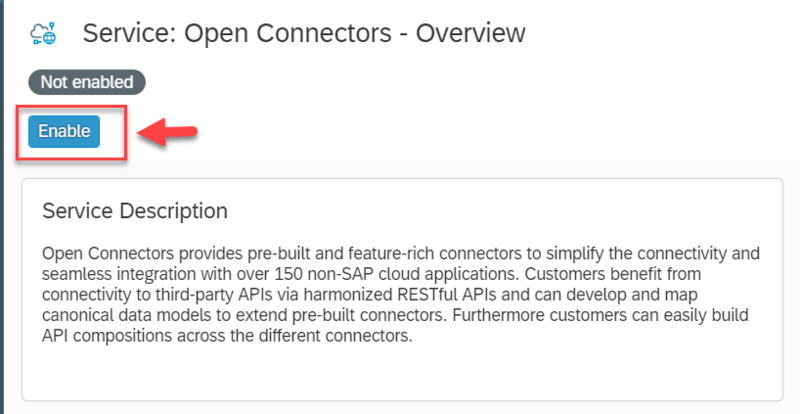 SAP Cloud Platform Open Connectors enriches capabilities of our Integration and Orchestration offering and is available in the Services tab under Integration category. Typing in open in the search field would quickly show the Open Connectors tile. Select Open Connectors tile to view the service details. While the service is getting provisioned, you may see a Processing status. Once Open Connectors service is activated, the status would change to Enabled and the link Go to Service would get enabled. 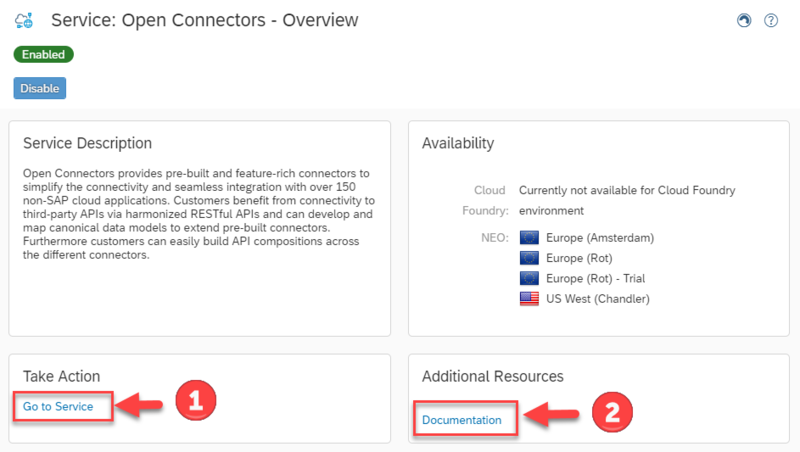 Click on Documentation tab to view SAP Cloud Platform Open Connectors help documentation. Click on Go to Service link to navigate to your SAP Cloud Platform Open Connectors trial tenant. 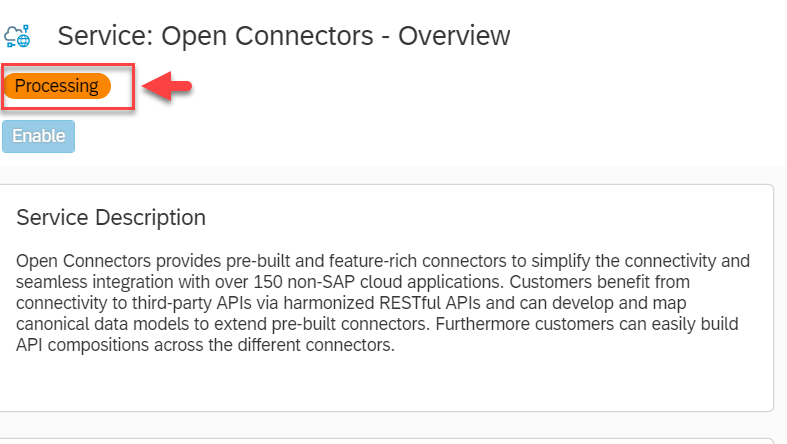 In the next part of the blog series, simplified connection to a third-party application from SAP Cloud Platform Open Connectors has been covered. Thanks a lot for the kind words and happy that you found the blog useful. thanks a lot, it is very useful in our use case. Since currently it is still in Neo, do you know when will this be available in SAP CP Cloud Foundary version. Thanks a lot for the kind words. The Cloud Foundry availability is planned for Q1 2019 🙂 so i would say it just right around the corner. SAP Cloud Platform Open Connectors is now available in Cloud Foundry Europe(Frankfurt) Region. More information in this blog. I saw that there is a Connector for R/3 BAPI which I think sounds very interesting. Where can I read more about it and will it be available in the Trial Tenant?